It’s Book Fair time again, and this is our first as the specialist food imprint of Bloomsbury Publishing PLC. The Bloomsbury stand number is J305 and we’re looking forward to showing off our list of wonderful new titles for 2012! 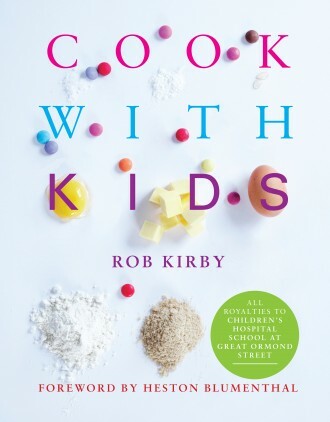 HUGE CONGRATULATIONS to Rob Kirby, who scooped the ‘Best Fundraising & Charity Cookbook’ at the Gourmand World Cookbook Awards. The annual awards ceremony took place at the Folies Bergère Theatre, Paris and in attendance were publishers, writers and chefs from all around the world. Rob’s beautiful book is geared towards bringing families together with great, approachable food. The recipes in his book are all simple to prepare and fun to make and royalties from the sale of every copy go to the Children’s Hospital School at Great Ormond Street Hospital (GOSH). Rob is the Chef Director at Lexington Catering and through this work and his involvement with The Academy Of Culinary Arts, Rob was able to get involved with the cookery programme at GOSH. 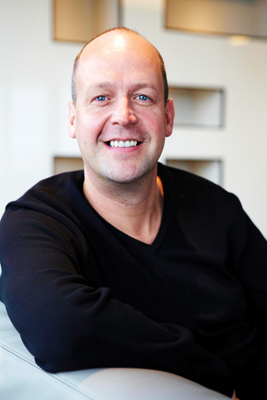 He has now been teaching cookery at the school for more than 10 years and has first-hand experience of the difference that exploring food and cooking in new and fun ways makes to the children. This experience, together with winning ideas from his own family meal times make up the recipes within Rob’s book. Absolute Press is delighted to announce that as of September 1st it has become the specialist food imprint of Bloomsbury Publishing. The imprint will be managed by Janet Murphy, specialist publisher at Bloomsbury. Jon Croft will continue to work for the list as a consultant for Bloomsbury, commissioning authors and titles, and will employ Absolute Press commissioning editor Meg Avent and art director Matt Inwood in a freelance capacity. The team will design and package the books for Bloomsbury, with a very strong 2012 programme already in place. 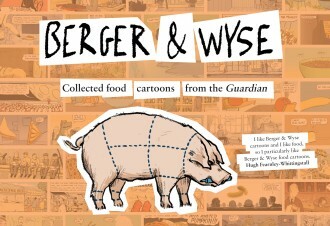 What a real joy it’s been to spend the last few weeks collating together pieces which make up the first book of Berger & Wyse food cartoons. For those who aren’t already aware of their (spare-)rib-tickling work from the Guardian Weekend magazine, they are humorists who express their love of food via a new cartoon each week. Their regular characters include the gastronauts and the godzillas and a whole host of neurotic, talking vegetables. You can follow them on Twitter for updates on each new cartoon. Berger & Wyse is available from the beginning of September. A couple of weeks ago, when Press Gazette announced the results of their survey to find the best 50 UK food and drink journalists — a piece of research that surveyed many specialist journalists and 1,000 members of the nationwide general public — it was no surprise to many that Fiona Beckett’s name was very high on that list. She is one of the most prolific of food writers, with columns, blogs and a vast number of books to her name. Equally at home writing about food or wine, or food and wine via her food-and-wine-matching articles, she has a knowledge and passion that are the equal of few in the business. Over the years, Fiona has written several books for Absolute Press. (She’s also nudged us in the direction of one or two others for commissioning!) The fact that she can turn her hand to writing on almost any food subject is quite something; what’s more remarkable is that she can write with such passion and erudition on those subjects, and that’s certainly the case with all of the books she has written for Absolute. Her first book for Absolute, Beyond Baked Beans (2003) was the beginning of something huge. Two more books would follow in a series dedicated to ensuring that students understood good food and were given good recipes to practice that knowledge: Beyond Baked Beans Green (2004) and Beyond Baked Beans Budget (2006). In 2004, we published Fiona’s Sausage and Mash (2004), which explored one of the great comfort foods and an array of wonderful dishes that incorporated it. Her follow-up of sorts, Meat & Two Veg (2006), was an extension of the comfort food theme, enlarged to explore a Great British institution. In 2008, we commissioned Fiona to write The Frugal Cook. A relevant and significant book we thought it would be, but no one could have better-timed its arrival, coming as it did as the country officially fell into recession towards the winter of that year. It reprinted instantly and Fiona became one of the more prominent and respected spokespeople for frugal eating, not least via the blog she set up alongside the book, which is still going strong today. And in 2009, we released an edited and enhanced collection of Fiona’s student recipes into one book, The Ultimate Student Cookbook, with lots of new content and introducing three new hugely talented food writers in the process (step forward Signe Johansen, James Ramsden and Guy Millon). The book cemented what most already knew: that Fiona was the most relevant and talented writer on student cooking around. Testimony to the fact that Fiona’s writing remains so important and her recipes so worthwhile is this year’s rerelease of The Frugal Cook, looking better than ever and priced more keenly than before. She is arguably the most knowledgeable voice writing on the subject of food frugality today. If you aren’t already familiar with Fiona and her work, then give one of the above a try and/or follow her musings on food via her Twitter account. It’s been a very good last couple of weeks for Absolute Press authors. Indulge author, Claire Clark, was over the moon to be awarded an MBE in recognition of her services towards the food industry. Clark, whose stellar career has taken in such landmark restaurants as The Ritz, The Wolseley and The French Laundry, also set up a pop-up retsaurant for a couple of months last year at the London branch of Harvey Nichols. Plans for a second Absolute Press book are well under way: news of that soon! And congratulations also to Phil Howard, head chef of The Square who picked up the Special Award at the Craft Guild of Chefs Awards for his outstanding contribution to the industry. Howard’s The Square Cookbook is finally available this November. At just under 600 pages, it will be an incredible insight into the mind of one of the most respected and talented figures in the restaurant scene. It’s almost twenty years since we published a book of recipes by Simon Hope, ‘Entertaining With Friends’. It was a book of restaurant recipes. Believe it or not, there weren’t actually that many of those kind of books around at the time. Rarer still, it was a book of vegetarian recipes. Food For Friends was a legendary institution in its day; and Simon Hope was one of the most inspiring figures on the vegetarian scene. Incredibly, Brighton was to boast a second wonderful vegetarian restaurant, one which in time would eclipse all others and be regarded far and wide as the very best in the country. That restaurant was Terre à Terre. So, a few years ago, a publisher and his commissioning editor booked a table at this restaurant and enjoyed some of the most incredibly original and flavoursome food they could remember. Before they left, they managed to grab a few minutes with the restaurant’s owners and told them how very wonderful that meal was. They innocently asked had they ever thought about writing a book of Terre à Terre recipes. Turns out they had… just a bit. Another meal and another meeting later and a few ideas had been batted around and fleshed out (if you’ll pardon the non-vegetarian expression). Handshakes all round and Terre à Terre owners Amanda Powley and Phil Taylor were about to embark on their first book together. And it was quite some time in the making. But then restaurant recipe books so often are: there is much to think about when putting to page recipes that will work in a home kitchen as effectively as they do a restaurant kitchen… but work effectively they did. Reading through the recipes was every bit as unique an experience as a visit to the place itself. The fun and curiously named dishes that appeared on the restaurant menus were uncompromisingly copied over verbatim to the book; introductions to each recipe painted an enchanting story of how ideas had come to life, how exciting flavours balanced one another in the dishes and how alternative ingredients and elements from other dishes could be brought together to take things off in a different direction. Lisa Barber came on board to photograph the food and managed to beautifully capture the sheer wit and brilliance of each and every dish over about eight days of location shooting at both the restaurant and Amanda’s home. It was an incredibly long process, but by the winter of 2009, we had produced a book. It was a book that all of us were very proud of. It is, we believe, the best book of vegetarian restaurant recipes there is, but it is also quite simply one of the best vegetarian cookery books you’ll find. For vegetarians, it offers so many new and inspiring choices to cook. For meat eaters, it takes you to a place that is light years removed from dusty old stereotypes of lentil dishes and green salads. Above all, it is a book that gets you excited about food and about cooking, and in today’s world of cookbook publishing, that really is something to shout about. 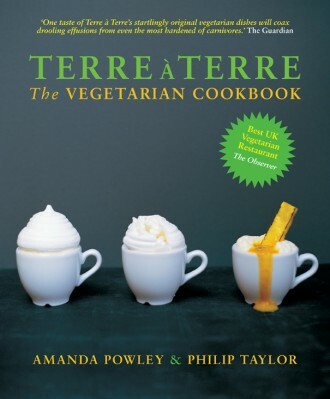 And so shouting about it we are, and since this week is National Vegetarian Week, there really is no better time to salute Terre à Terre and a cookbook which is nothing less than the perfect representation of the finest vegetarian restaurant in the country. It was ten years ago that the wonderful Cinnamon Club restaurant in Westminster first opened its doors. A few things have changed since then, but chef Vivek Singh is still very much the heartbeat of the place and the restaurant continues to serve some of the very best and most innovative Indian cuisine in the UK, one which combines the very best of Indian food but doesn’t ignore Western tastes and sensibilities. 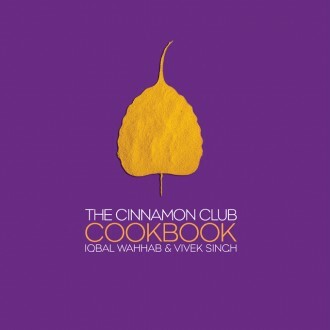 In 2003, along with the restaurant’s founder, Iqbal Wahhab, Vivek wrote The Cinnamon Club Cookbook and a special leather-bound edition of this beautiful book is now available, exclusively from the restaurant, to celebrate its ten years. In 2006, he wrote The Cinnamon Club Seafood Cookbook, and in 2008 came Curry: Classic and Contemporary. By this time Vivek was not only an award-winning author, but also one of the most respected chefs in the UK, and one of the most recognisable faces of Indian cuisine on TV too. 2008 was also the year that a second restaurant, Cinnamon Kitchen, just off Liverpool Street in London, also opened its doors. It was great, therefore, to see two articles featuring Vivek in this weekend’s press. The Times included a collection of fine recipes from Vivek to celebrate 10 years of the Cinnamon Club, and show just how very versatile Indian cuisine – in his hands – can be. And then, in Sunday’s Observer Food Monthly magazine, an article from Allan Jenkins following Vivek back home and a ‘food lover’s journey’ across northern India taking in a street curry masterclass and a spice shopping trip and again revealing some of the very best Indian recipes you could hope for. Here’s wishing Vivek and the Cinnamon Club many more years. If you haven’t already taken a look at his books, do check the links above and read on: there’s much indeed to enjoy. So, that’s London Book Fair done and dusted for another year. Always a very exciting time: exhibiting new books for the first time and taking in what everyone else in the publishing world is doing too. A big thank you to everyone who came to see us, especially for the enthusiastic response we received to the new books. We’ll be updating the site regularly with news and special previews for each of those new titles over the coming weeks and months. And if you haven’t already done so, be sure to download your copy of the catalogue from the homepage.